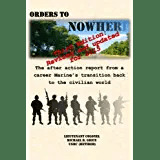 This entry was posted in Transition Posts, Transitionnews, VA and tagged Army, Benefits, career, coast guard, Disability claim, Employment, Enlisted, Job Search, Job Seeking, Marine Corps, Military Transition, Navy, Networking, Officer, Retirement, transition, VA, Veteran, Veterans Administration, Wounded Warrior. Bookmark the permalink. I HAVE to tell more people about this site!! A lot of interesting stuff in the news today. Thanks for the update Sir. Oh and Mr. Willis is the man!